Join us for a free online event where financial expertise meets real estate and renovation ingenuity. 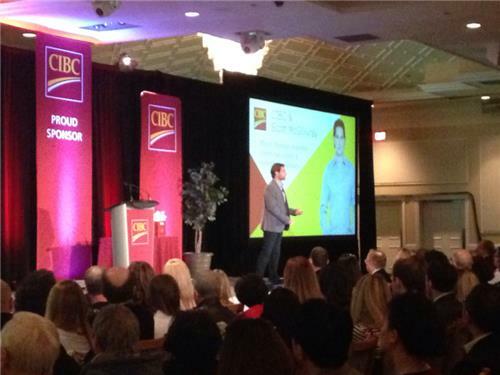 CIBC is proud to welcome Scott McGillivray, host of HGTV’s Income Property, for an interactive webcast where he will discuss wise (and not-so-wise) approaches to how you can finance the renovations of your own home and income properties. Tune in and get your questions ready for Scott! 20 minutes - can't wait! Hello, everyone! Shortly before the event starts tonight at 7:30 p.m. EST, a video feed will be added above this chat where you will be able to watch Scott live and follow along with his presentation. Through this chat feed, we will let you know when you should submit your questions and we'll share some of the best ones with Scott to answer live. All you have to do is hit "Make a comment," sign in, add your comment, and your question will go into moderation. Please note, we may not be able to get to all of your questions but we'll fit in as many as we can! 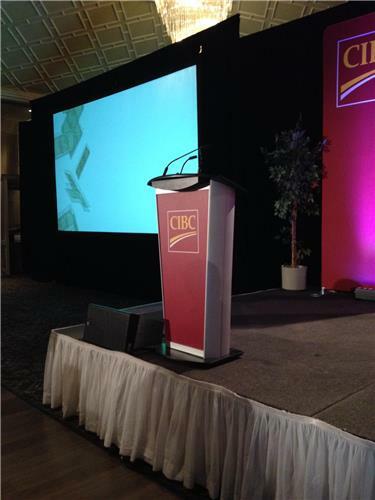 We're excited to begin the Live Event with Scott McGillivray, just waiting for him to take the stage! The podium awaits! Scott is in the building. 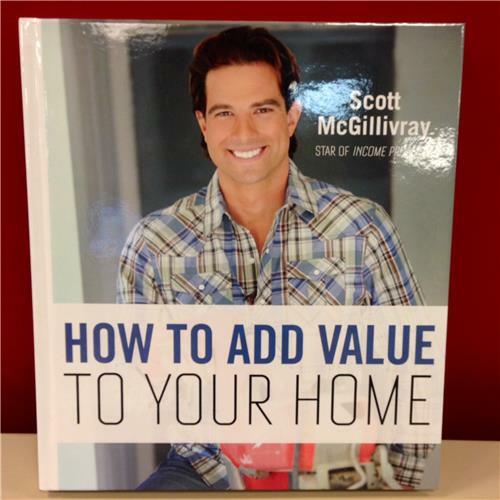 CONTEST: You could win 1 of 20 signed copies of Scott's new book! Just complete the form to the right with your contact info. Hi everyone! Excited? Think about the questions you want to ask Scott. Click make a comment, sign in, add your comment and your question will go into moderation. We will be saving them for the end of the presentation for Scott to answer! Should I be okay with a home inspection provided by the current home owner or should I get my own as well? Do we have any Income Property fans watching? It would be great if you would come up to Ottawa to fix up our house to be an income property! My 8-year-old LOVES your show! i love how versed Scott is, and how he's able to clearly get his message across... this guy knows his stuff! "I am paying $900 more than this is costing the landlord!" --The minute Scott realized, THIS is the job for me. "Within an hour of talking to an advisor, my mind was exploding with ideas." "By the end of the year, it would be almost the same as renting, only I would own a home." I told my parents, I got this great idea, I'm going to use my student loan to buy a house -- complete silence on the other end of the phone. With all our rental properties, we want our tenants cheques to be covering the mortgage. Toward the end of the year, we started to realize something. Our current tenants weren't going anywhere, we had 20 or 30 people looking for rooms. How do you solve this problem? You buy more properties. We went back to our mortgage adviser and asked how we could get another property. He said let's look at your current property. The first one now has $30,000 of equity you can use. I realized, holy smokes, this is incredible. I started seeing a business model coming into play. Has anyone ever experienced a "slum lord"? We found a property just up the street, we said we'll rent this out for $900 a month, get positive cash flow. We found a group of girls and they qualified and their parents were all there and we signed the leases and thought this is going to be so easy. Boy, were we wrong. This group was a little different, within 24 hours we had our first phone call. It was pure panic on the phone. "Hi Scott it's Maria, we have a huge problem, Maria is trying to crawl out her window ..." I'm sweating, I can picture the house on fire. So I'm like wait a second, you're what? "We're all stuck in Marisa's room and we can't get out." The audience loving Scott's stories. I hang up the phone, I am panicking. If I can survive this without panicking, I'll be OK. I get there, the neighbours are out, I'm thinking, we renovated this place, we painted that door, I think my buddy might have used too much paint but I did the hardware. I got my tools, I got my sledge, I was ready to break the door down and I lean on the door and it opens and I fall down. One of the girls says, "Oh my god guys, the door opens into the room." They said "oh my goodness, we were pushing on the door the whole time." Folks, remember to fill out the form on the right-hand side before the presentation is over for a chance to win a signed copy of Scott's new book! Real estate investing is about "get rich slow." It's about delayed gratification.... It needs to be able to sustain market terms. Tip: One of the best tools that we have discovered that has helped with tenant relations, is the idea of reciprocity. As a landlord, I feel it's my responsibility to set the precedent in this relationship. Have you ever received a gift from your land lord? Good advice! looking to purchase my first home ; what mortgage should i get? Time to get into the RULES of investing! 1: It needs to make money, or it's not worth it. 2: You also need to manage the money going out... if there's way to save money, get a good rate on your financing. The third thing is the most important -- access to funds. When we started to figure out how to work the model and grow it quickly, it became a bit of an art. You need to spend the time doing the math... If you mess up the financing, you're in big trouble. The financing is what makes or breaks a good investor. If you mess it up, getting your next property could be almost impossible... You always need to be thinking about your next property, not just your current one. Not everybody always follows their own rules, or knows about these rules. Take early renewals seriously.... this is an opportunity to be had. You can usually do an early renewal about four months before it comes due... 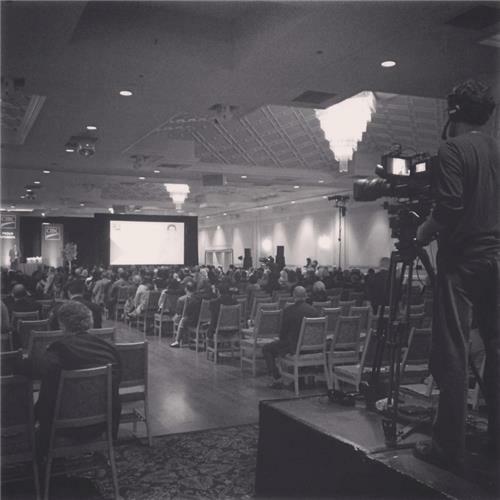 I would guess 90% of people in this room have a worse mortgage rate than what they COULD be getting. Even if your mortgage isn't coming due yet, it might be worth getting pre-approved now anyway. 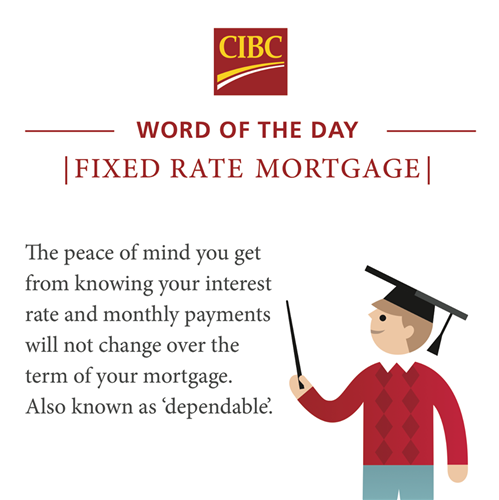 They might be able to hold that rate for you for a few months. Then, if the rates go up, you can still get a lower rate. I want to split my lot and make two beautiful semi's, sell, and do it again. the neighbourhood is hot, and there is the demand, and I'm sure the city will allow the severance... what's the best way to finance it? If I have a couple of rental properties, is it more beneficial to operate under a business name (corporation) or keep it as personal income ? Are condos or houses better for income property? If I were to pick one renovation to do to my house, to get the biggest bang for my buck, what should it be?